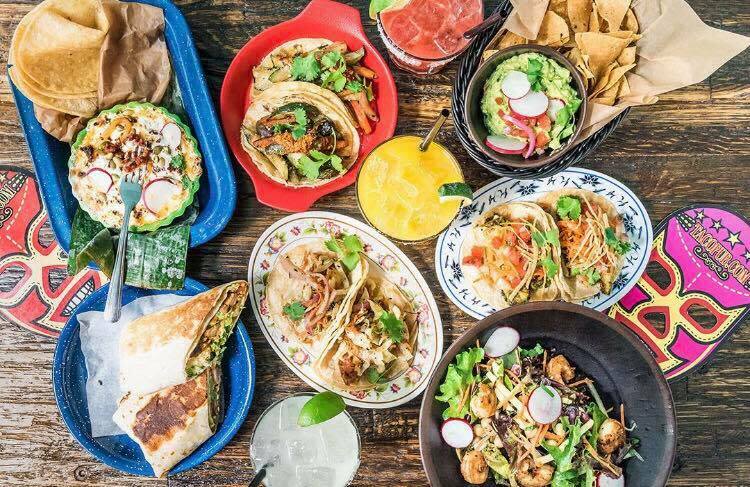 Tacos + patios is always a winning summer combo, and kids are always welcome at this charming Lincoln Park taqueria. Nacho Libre–loving kids will adore the bold, colorful decor, especially the giant mural of a campeon that looks a lot like everyone&apos;s fave honey bear, Winnie the Pooh. Moms and Dads will want to indulge in margaritas—sold by the glass and the pitcher—while kids will appreciate the street-corn hushpuppies. The family-style taco tray is always hit. Dogs are welcome here, so forgo the doggie bag and bring Fido along for dinner, too. Bang Bang’s pies (photo at top) bring the nostalgia of the classic dessert back into the foodie fold. Bite into a slice in the shops side yard, where picnic tables are bustling with happy families. The pie menu changes daily; expect all the fruits of summer to be featured as they make their appearance at local farmer&apos;s markets. Bang Bang&apos;s biscuits are brunch-worthy, and come laden with everything from avocado to bacon to gravy. Take home a housemade Bag O&apos;Granola for breakfast the following day. 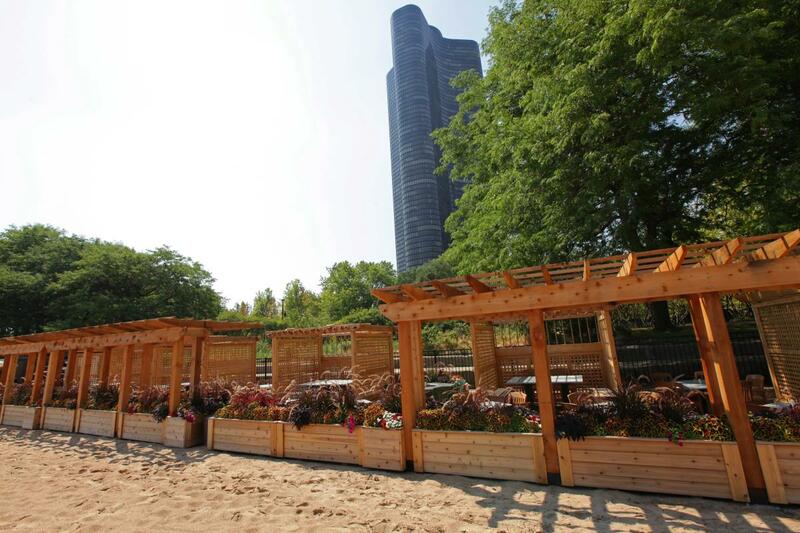 If you want to take a vacation from your vacation to Chicago, Caffè Oliva, which stands tucked away on a small, scenic stretch of Ohio Street Beach, promises to transport you to paradise on sunny, summer days. Mediterranean-inspired fare makes for healthy indulgence: we recommend the lamb meatballs, grilled calamari and flatbread pizzas, but you can also find an array of burgers named after Chicago&apos;s streets. Bring some buckets and shovels for the kids: they can play in the sand while moms and dads linger over beach-y cocktails. Parking is available across the street on the other side of the pedestrian underpass, at the W Lakeshore Hotel located at 644 N. Lake Shore Drive. Just pull into the valet parking and bring your ticket to be validated at the bar at Caffè Oliva ($12 for up to five hours—perfect if you&apos;re planning to spend a couple of hours at the beach after you dine!). 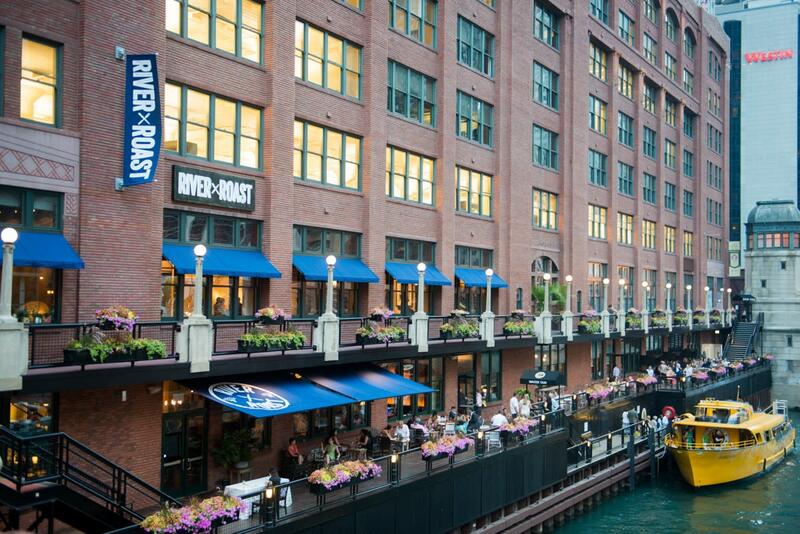 Kids will love watching the boats breeze by at River Roast, one of the city&apos;s best riverfront restaurants. The cruise ship–sized patio offers exceptional views of the Chicago River, and there is something for everyone on the menu. You&apos;ll want to give one of the stellar roasts a try, served family-style and carved tableside: choose from salmon, beef, chicken and rack of pork. 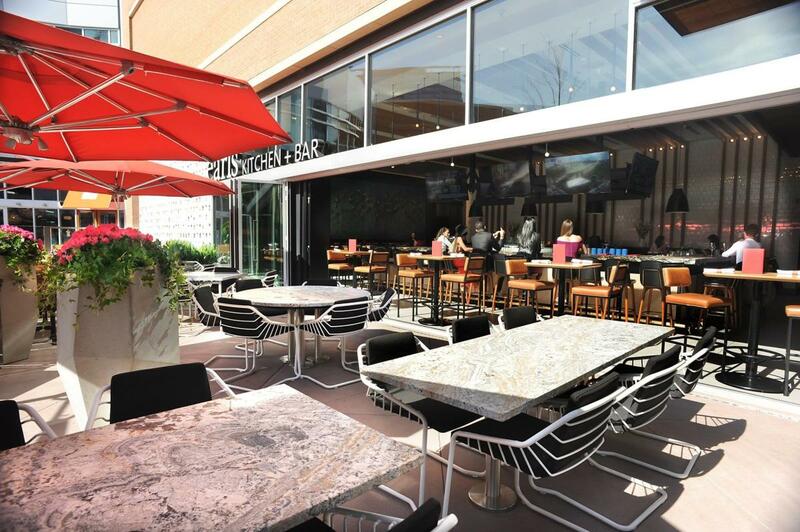 At New City in Lincoln Park, families can bowl, catch a summer flick or enjoy an evening dining under the stars at Earls Kitchen + Bar, the acclaimed Canadian restaurant chain&apos;s Chicago outpost. The patio here is huge—it can seat up to 100 guests—and features dazzling firepits and comfy seating. While moms and dads indulge in globally inspired, seasonal fare with a focus on top-notch steaks, kids will delight in the kid&apos;s menu: my kids recommend the fish and chips with a passion fruit limeade mocktail. Another perk: parking here is always easy and plentiful. Explore more outdoor patios in Chicago&apos;s top dining districts like The Mag Mile, or take in the sights with these restaurant patios with a view.